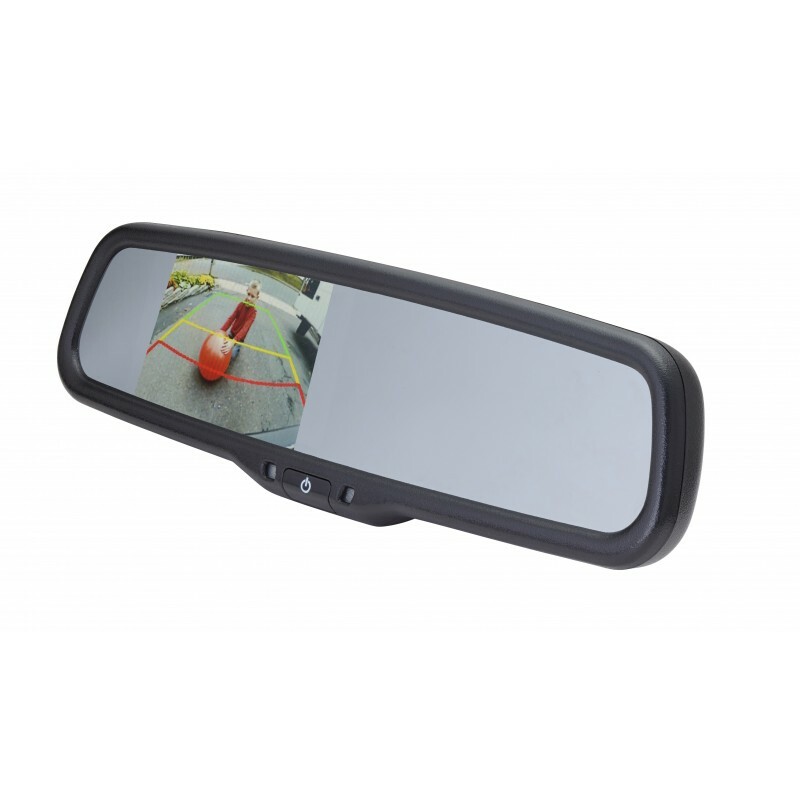 This universal mirror monitor replaces your original factory rearview mirror with a higher-tech alternative, letting you enhance your rearview with a live video feed. A built-in 3.5” LCD monitor activates automatically when you put your car into reverse, with dual inputs for integration with up to two side, rear, or front-facing cameras. It’s simple to use, with automatic rear trigger input and an included remote control. The built-in adjustable parking guidelines make it easier than ever to see exactly where you’re going, alerting you to your trajectory and whether you’re at risk of hitting vehicles or other nearby obstacles. You’ll wonder how you ever drove without it. The combination of cameras, a monitor, and parking lines reduces your risk of accidental collisions, keeping you, your passengers, and your property safer than ever before.